We sent 12 smile presents this month taking our new overall total to 540 smiles. Items included blankets, candles, make up, books and craft items. Presents change all the time as we personalise them for each individual but they are all lovingly chosen, wrapped and posted. National Carers Week was the 11-17th June and we celebrated carers by teaming up with Bear Hugs to send special hug smiles to 56 lovely carers. We are so happy that as well as creating Smiles for deserving carers we were able to support Bear Hugs at the same time. 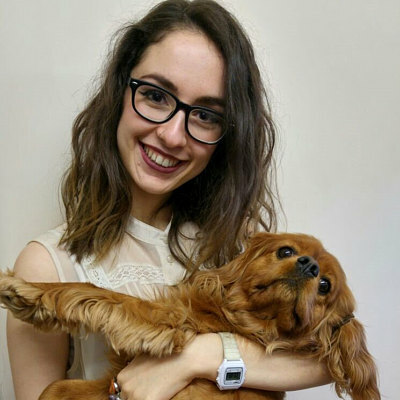 Bear Hugs is a brilliant business founded by Faye, a chronic illness sufferer, to spread a little kindness and a hug. Thank you so much to everyone at Bear Hugs for helping us thank the amazing carers for all they do. Sending lots of love to all carers. You are all amazing people doing an amazing job. You don’t always get enough recognition but we hope you know how much you are appreciated. Thank you for all you do. This month’s smile of the month is in relation to the shop of the month, I received my order of these two amazing pieces of art work thanks to Sarah. First the Smile For ME logo with floral detail as I love flowers and a pet portrait of my dog Rosie. Thank you for making me smile Sarah. 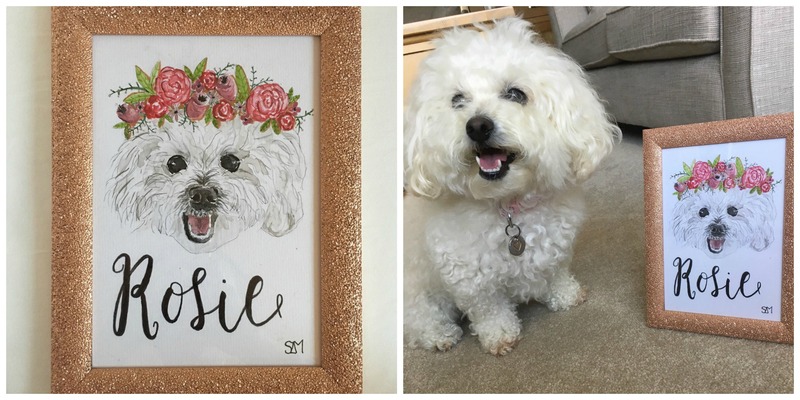 This month’s shop of the month run by Sarah and she sells hand painted pet portraits & illustrations on her Etsy page. Here’s more about Sarah and her shop in her own words. Helloooo lovelies, my name is Sarah and I live in London. I have been ill with M.E/Lyme disease/POTS since my teens, which meant I had to leave school at 16 and haven’t been able to work or study since. This has been heart-breaking for me as I loved school and love the sense of achievement and productivity. Since then I have continued to develop my passion for all things creative, using it as a form of escapism and relaxation, and also a way to bring back a sense of productivity and achievement to my days. 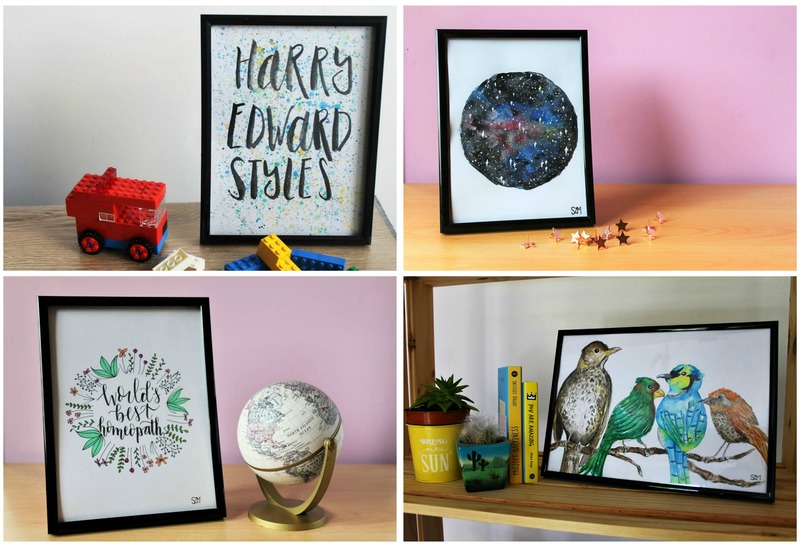 People would regularly tell me to try and start selling my artwork, so eventually I set up my own etsy store to try and turn my passion into my own little business. It’s difficult to spread the word about my business when I am so limited on energy and spend so much of my time at home, so social media and word of mouth have been my main forms of advertising; and why I am particularly grateful to be Smile For ME’s shop of the month. I am a massive animal lover (particular favourites are my 2 adorable king Charles spaniels) which led me to start doing pet portraits to celebrate other people’s love for their pets too. 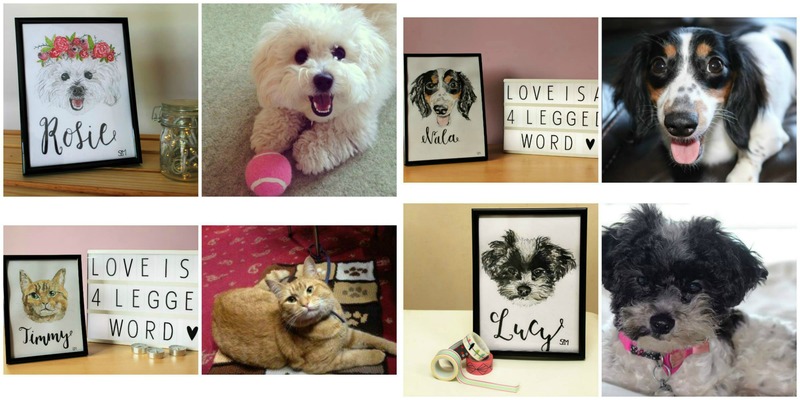 My custom pet portraits make fabulous gifts for any animal lover in your life or a pawfect treat for yourself. Each painting is handmade and based on your specifications so they are all completely unique. I also do custom illustrations and am open to any ideas you may have. Just send me a message and we can design a unique piece of artwork for you. Every time I sit down to paint or draw a commission I feel so incredibly lucky to get paid to do something I adore. To be able to earn money for myself for the first time has been such a lovely boost of confidence and self-esteem. I’m so grateful for all the support in helping turn my passion into a business that is manageable for me and am excited to see where this venture leads me. You can find me on Instagram @sarah.mozer and my etsy is etsy.com/shop/sarahzoee – pop by and say hello! A special thank you to those who have fundraised or donated money to us this month. Your kindness allows us to continue sending smile presents so we can’t thank you enough. Your support really means a lot. 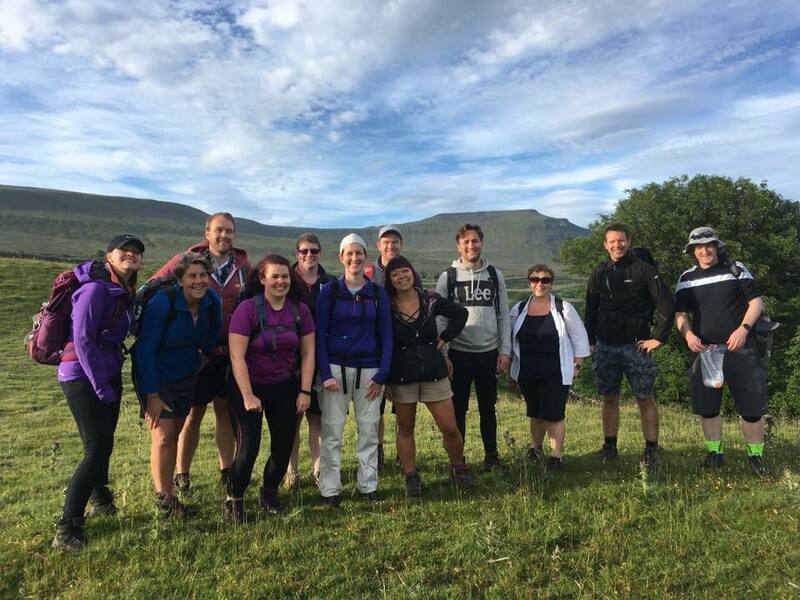 A big thank you to everyone involved in Lucie’s In her name fundraiser including the teachers at Lucie and Katie’s school who created their own fundraiser The Sankey Scramblers where they took on the 24 mile Yorkshire Three Peaks Challenge. Really appreciate your kindness in choosing to raise money for us. Thank you so much to everyone who kindly donated money to us including Sally, Tracy, Catherine, Pauline, Steve and Allison and everyone at JWR Accountants. We are really grateful for your kindness and generosity, we can’t thank you enough for your support and helping create smiles.